If you are not aware of the new TRID rules, you should be. TRID (TILA-RESPA Integrated Disclosures) was originally scheduled to go into effect in August but that has been changed (more on that in a moment). According to the CFPB (Consumer Financial Protection Bureau) the purpose of TRID is to protect consumers. In essence it states that any changes to a transaction that result in the APR being affected by as little as 1/8 of a point will require a new closing disclosure as well as a new waiting period designed to give the consumer ample time to review the changes. As you are already aware, seller credits and other fees are quite often negotiated during the course of an average transaction and in addition new fees are often generated if a transaction goes beyond the original closing date. With this is mind it is possible that the new TRID rules could complicate matters further and extend delays beyond that which they would normally be. Ken Trepeta, director of real estate services of the government affairs branch for the National Association of Realtors, expects that TRID will add a 1 to 2 week delay to closings. For these reasons many persons involved in the real estate industry are not fond of the new changes that TRID will bring. Yesterday however, proponents of TRID received a bit of good news. CFPB Director, Richard Cordray has announced that the new rules will not take effect until October 1st of this year. His statement was as follows. “The CFPB will be issuing a proposed amendment to delay the effective date of the Know Before You Owe rule until October 1, 2015. We made this decision to correct an administrative error that we discovered in meeting the requirements under federal law, which would have delayed the effective date of the rule by two weeks. 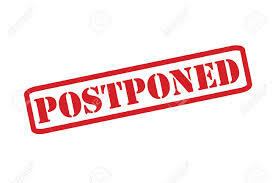 We further believe that the additional time included in the proposed effective date would better accommodate the interests of the many consumers and providers whose families will be busy with the transition to the new school year at that time”.